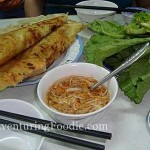 If there is one thing I miss a lot in Vietnam, it is their food. Vietnamese cuisine is a feast for the senses, from the spices they use to the fresh ingredients they include in their dishes. 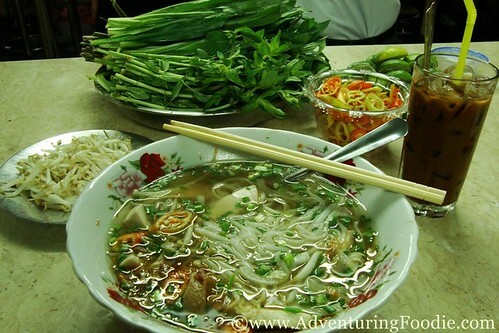 Vietnamese soup, known as pho, is the most popular food in Vietnam. 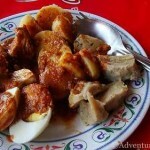 It is in fact the country’s national dish. The main ingredient is, of course, noodles, and there are many kinds of pho depending on the garnishing. 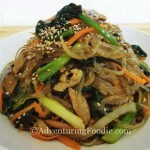 There are those which use beef (pho bo), chicken (pho ga), or pork. I love the ones made with tofu, shrimps and other seafood. There is also a vegetarian version. All pho are topped with vegetables and spices. 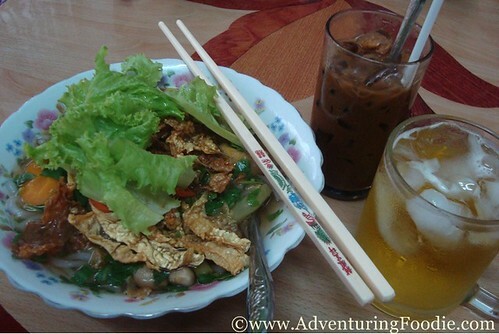 The best restaurant serving pho in terms of the relatively low cost and the taste is Pho Hoa in 260 Pasteur Street. Almost at the end of Pasteur, near Tran Quoc Toan St., Pho Hoa is always full, especially during lunch time. There is no need to make reservations; just show up there and find a seat. You can order bread separately. I have tried the pho in Vietnamese restaurants here in the Philippines but they are sadly lacking. I’ve only tried the ones in malls though, so I’m not sure if they are the real thing. I heard the soup’s better in Palawan, where a lot of Vietnamese live. 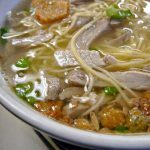 One thing I’m sure about: when I get a chance to go back to Vietnam, the first thing I’ll do is order a big bowl of soup—Vietnam’s delicious, spicy, and piping hot pho.